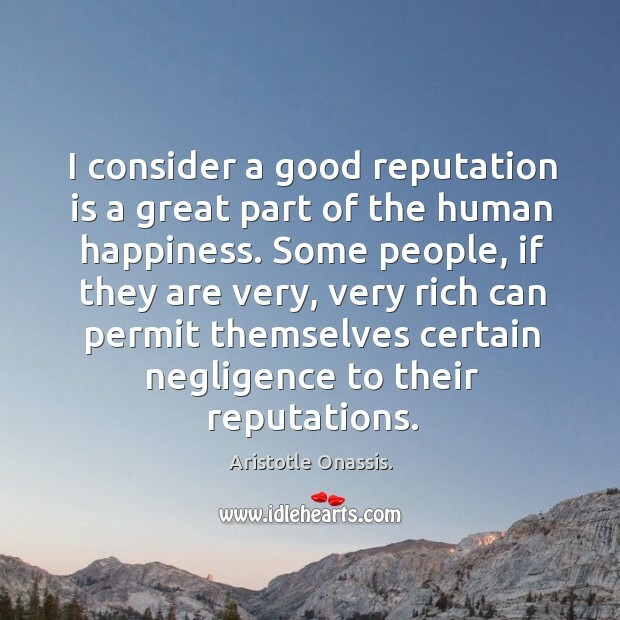 IdleHearts / Quotes by Aristotle Onassis. 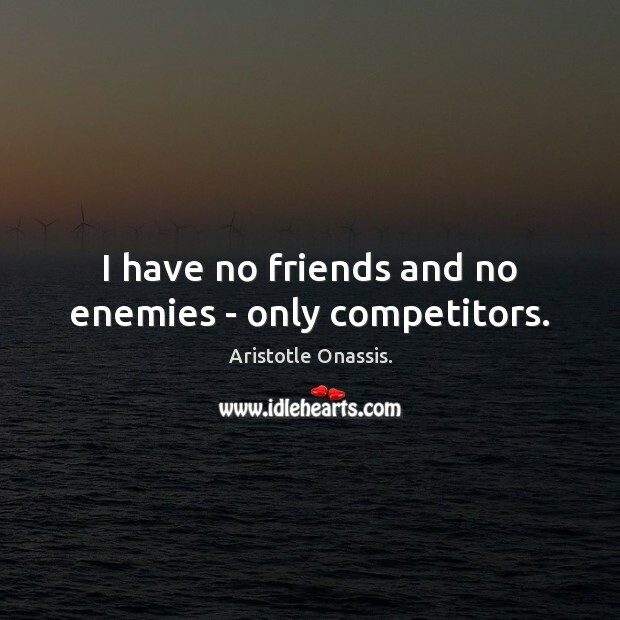 Enjoy the best inspirational, motivational, positive, funny and famous quotes by Aristotle Onassis.. Use words and picture quotations to push forward and inspire you keep going in life! 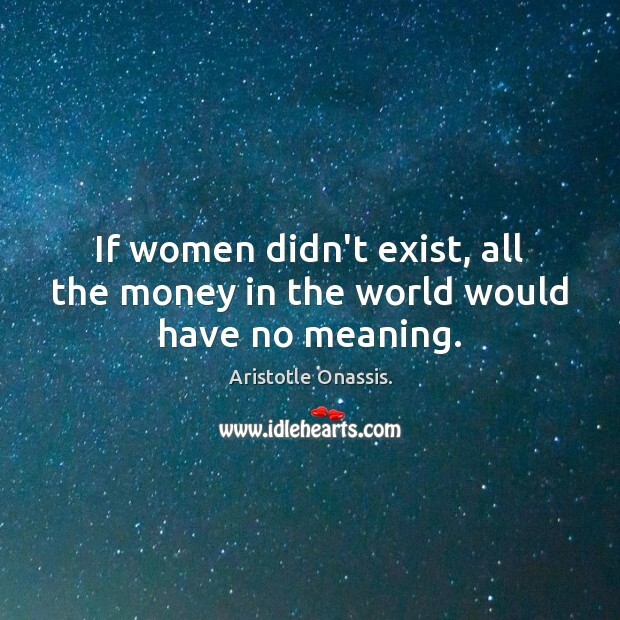 I've just been a machine for making money. 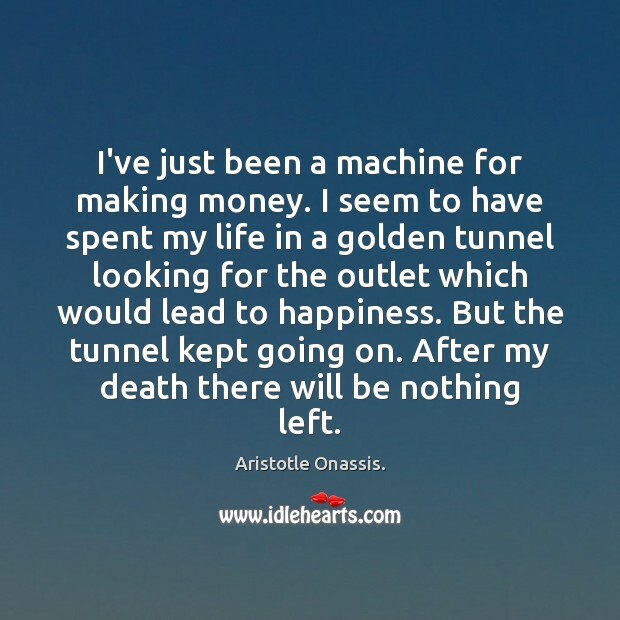 I seem to have spent my life in a golden tunnel looking for the outlet which would lead to happiness. But the tunnel kept going on. After my death there will be nothing left. 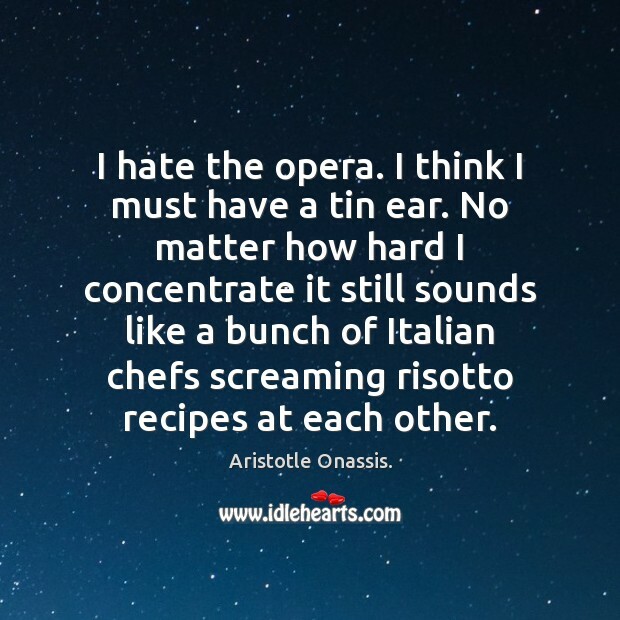 I hate the opera. I think I must have a tin ear. 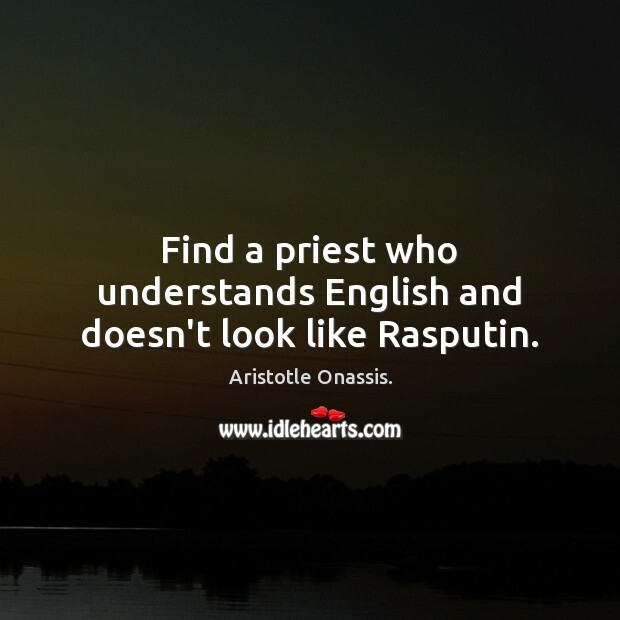 No matter how hard I concentrate it still sounds like a bunch of Italian chefs screaming risotto recipes at each other. 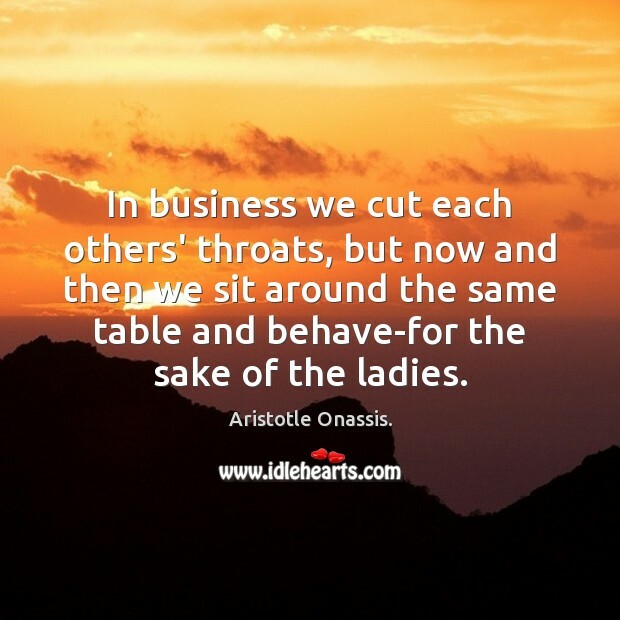 In business we cut each others' throats, but now and then we sit around the same table and behave-for the sake of the ladies. 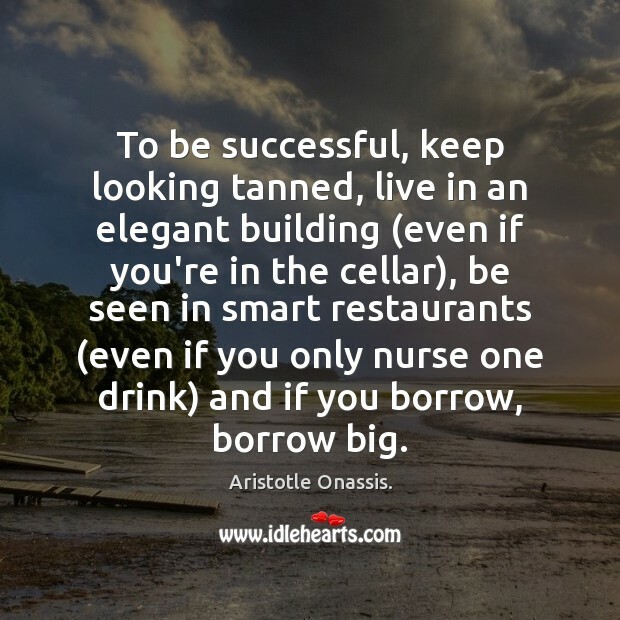 To be successful, keep looking tanned, live in an elegant building (even if you're in the cellar), be seen in smart restaurants (even if you only nurse one drink) and if you borrow, borrow big. 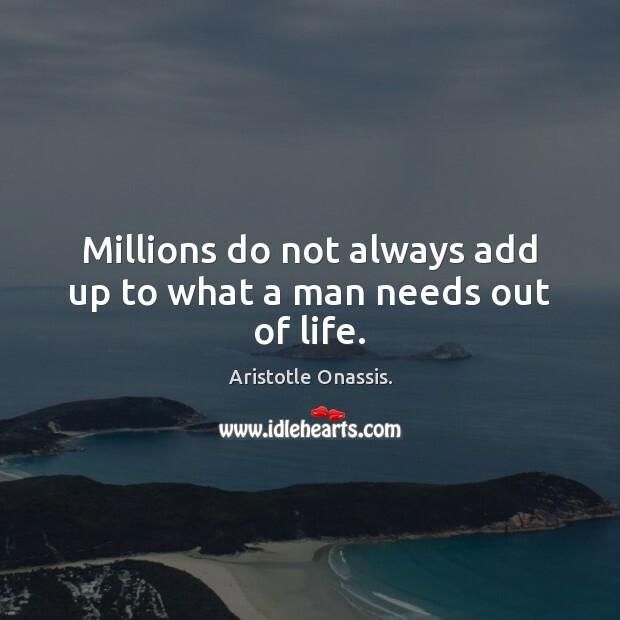 Millions do not always add up to what a man needs out of life. 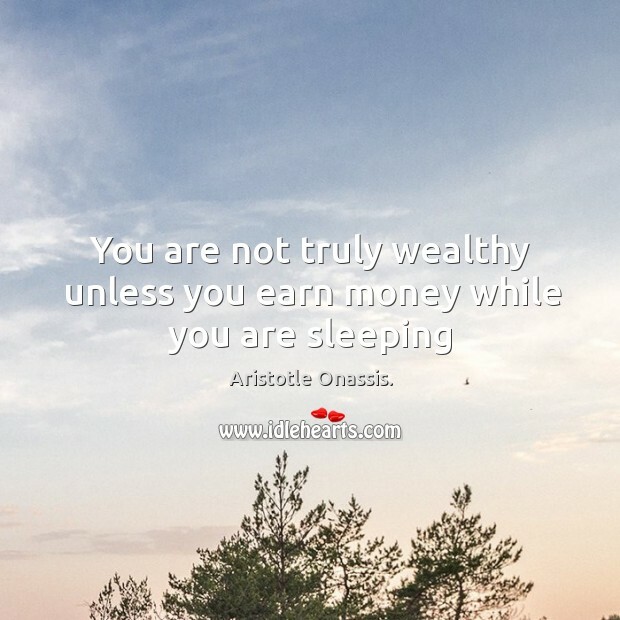 Don’t sleep too much. 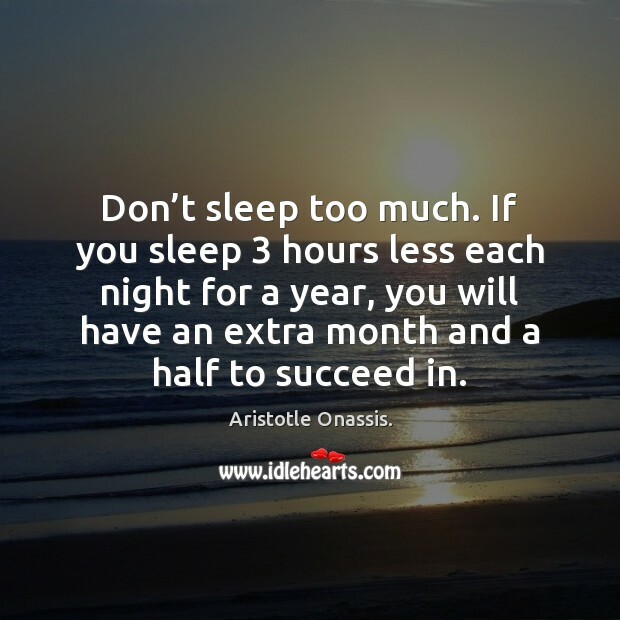 If you sleep 3 hours less each night for a year, you will have an extra month and a half to succeed in. 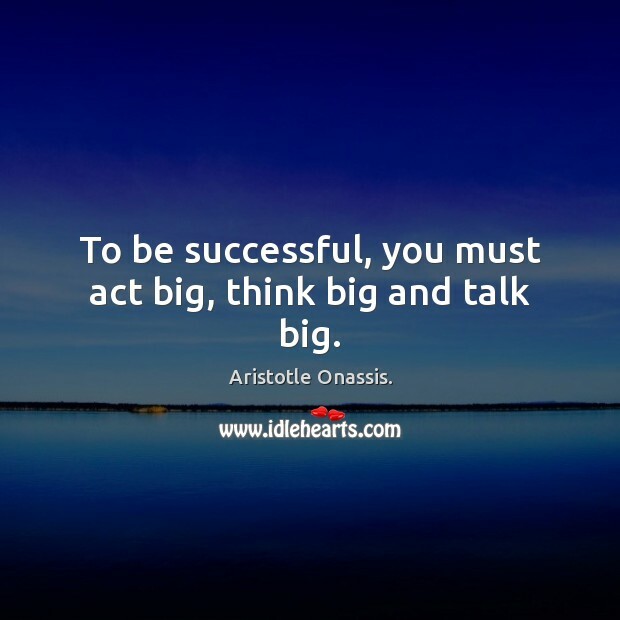 Don't worry about your physical shortcomings. 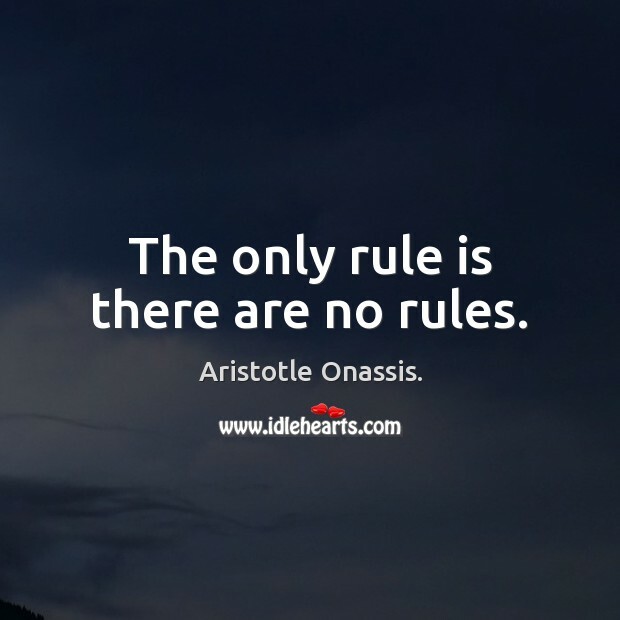 I am no Greek god. 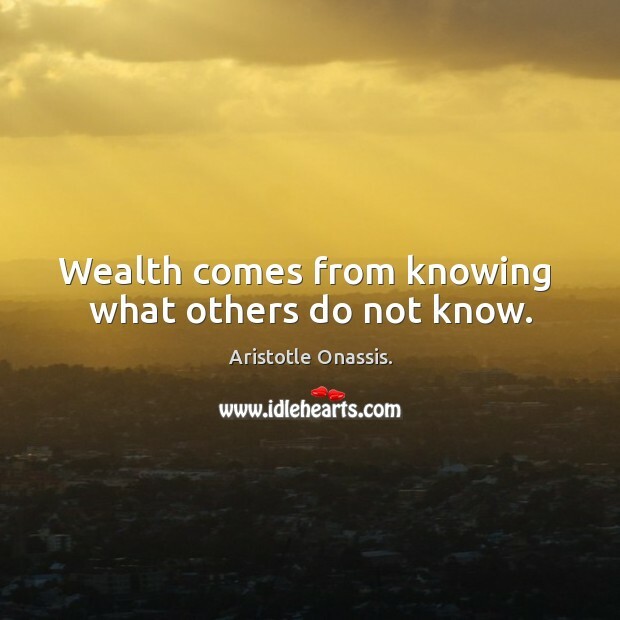 Don't get too much sleep and don't tell anybody your troubles. 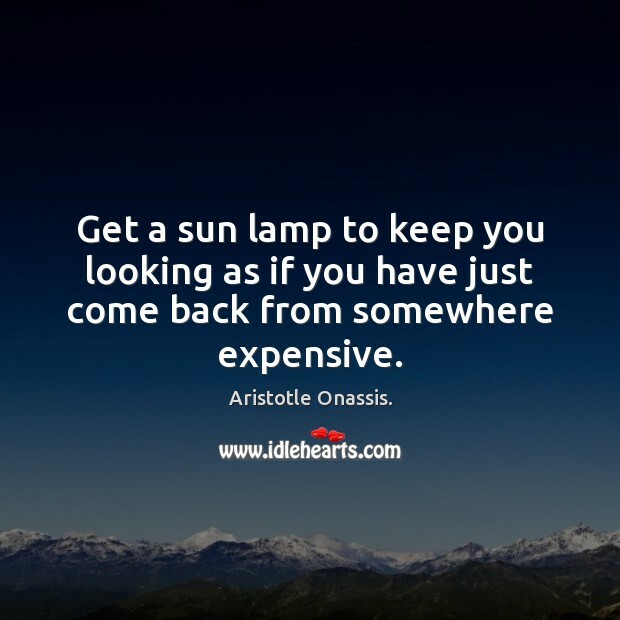 Appearances count: Get a sun lamp to keep you looking as though you have just come back from somewhere expensive: maintain an elegant address even if you have to live in the attic. 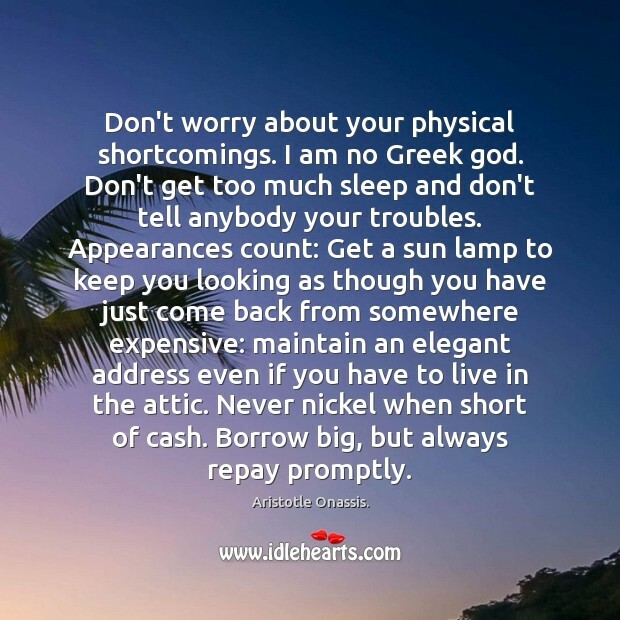 Never nickel when short of cash. 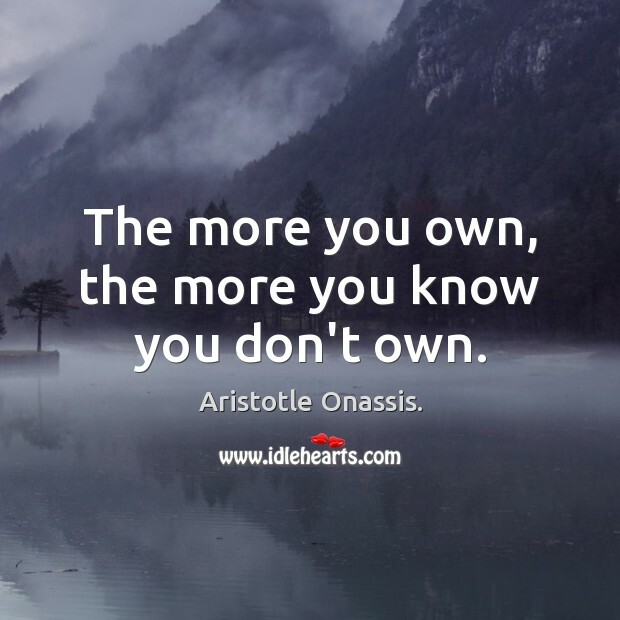 Borrow big, but always repay promptly.